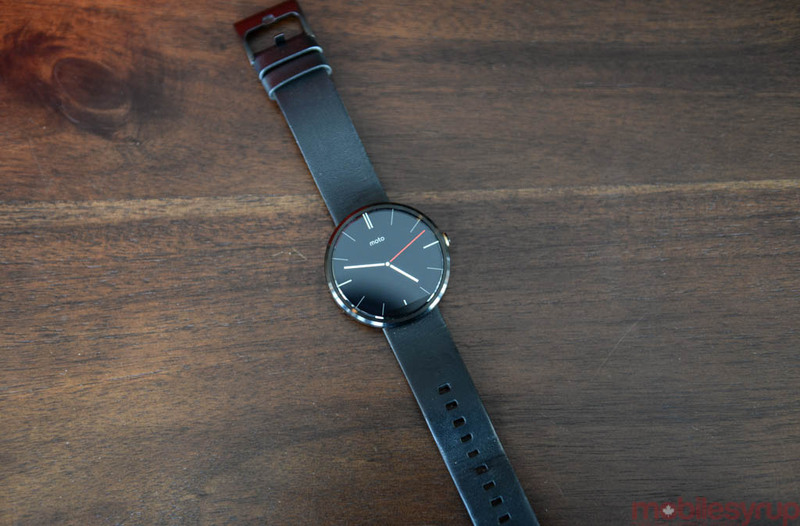 The first-generation Moto 360 launched in Canada late 2014 and has since been succeeded by the second-gen Moto 360. The smartwatch’s inventory has slowly shrunk at retailers and carriers, and it’s even been completely removed from the Google Play Store. But if you’re looking for a deal on this wearable, which is still a powerful device, Quebec-based Videotron has a compelling deal right now. The Moto 360’s retail price is $279.95 but the carrier has heavily discounted the first-gen Moto 360 by $150, to a respectable $129.95. While it doesn’t come with the new features loaded on the second-generation Moto 360, it does feature a 1.56-inch 320 x 290 pixel IPS LCD display, 512MB of RAM, 4GB of storage, a pedometer and accelerometer, an optical heart rate sensor, and wireless charging. The first-gen Moto 360 is also IP67 waterproof rated, and the 320mAh battery lasts over a day on a single charge.